From the 10th to 12th November 2015, Cogito Group will be exhibiting at MilCIS in Canberra. 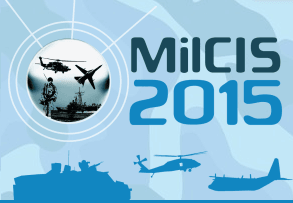 Held in November each year, MilCIS is a unique opportunity for those investing in government and military communications and information systems. The conference facilitates a continuing dialogue between Department of Defence employees, contractors, industry and researchers to discuss current and developing technological capabilities, project initiatives, and operational requirements. On Wednesday 11th November at 2.30pm, Richard Brown, Managing Director of Cogito Group will be presenting an update on “The changing face of cyber security”. Come and visit us at stand 005 to discuss the latest technology advances in data protection, Identity Management, better access control, better authentication methods, MFA and encryption. For more information on MilCIS and to buy a ticket, please visit their website.